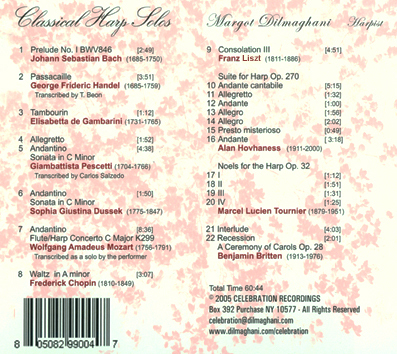 This CD is dedicated to my mother Virginia Nahigian, who turned 100 years old in August 2010. This recording joins my series of CDs benefiting organizations addressing world crises. The CDs and related costs are entirely underwritten. 100% of your donation benefits the 501(c)3 organization directly.